Prior to the Civil War, virtually all of Virginia’s then 148 counties had their own county jails. In the 17th and 18th centuries, most of these were made of wood and typically lasted only one or two decades before having to be rebuilt. 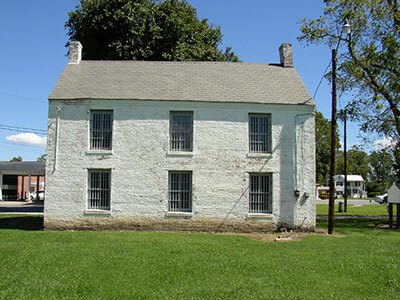 In the first half of the 19th century, however, most Virginia counties began building their jails with brick or stone walls. These were often two-story structures with a central hall, winder stair and a large room on either side of each hall, and were intended for a wide range of prisoners. Those imprisoned included (1) farmers or businessmen who had seriously fallen behind on paying their debts (hence “debtors’ prison”); (2) accused felons (violent prisoners would be locked in a “cage” in one of the rooms); (3) others locked up for short periods for various misdemeanors; and (4) individuals judged by the local authorities to be insane, awaiting their transfer to the asylum in Williamsburg. All would be placed in the same small building! Although Northumberland County was formally established in 1648, a permanent location for its county seat was not selected until 1679, and John Hughlett was hired by the county to construct a courthouse and jail (in 1681) in what today is known as Heathsville. The present Old Jail in Northumberland, pictured here, was the successor to a long line of makeshift prisons (see above), and was built—35 ½ feet long and 20 ½ feet deep—in 1839. It evidently was more or less hollowed out by fire in 1843, however, and the next year it was rebuilt. Until 1918, the Old Jail had the basic center-hall plan mentioned earlier. In that year, however, a more-or-less state of the art steel cellblock was installed that ran down the length of the jail. Although seldom full, the two-story cellblock could actually hold 24 prisoners, who were meant to sleep in hammocks. In the early 1900s, correctional system reformers, concerned about possible overcrowding and unsanitary conditions, began to push for the closing of the county jails, and finally in 1958 the Northumberland County jail was closed, and its inhabitants moved elsewhere. 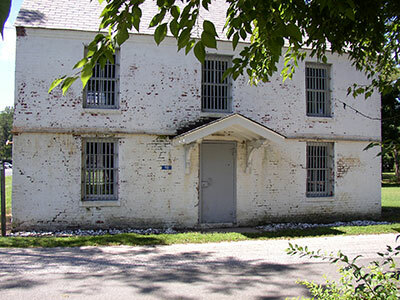 Significantly, on the eve of its closure, the Northumberland prison was the third oldest county jail in the Commonwealth of Virginia still used for incarceration. In 1963, as the county’s board of supervisors weighed tearing down the Old Jail, a group of local residents, led by the late Dr. J. Motley Booker, persuaded them to entrust the care of the structure to a group that would soon create the Northumberland County Historical Society. Indeed, for the first decade or more of its existence, the Historical Society was headquartered in the Old Jail building, until the Ball Memorial Library and Museum was built next door and dedicated in 1978. Beginning in 2005, a major fundraising program was launched so that this now almost 175-year old building could be renovated. Although major renovations have been made, and the Old Jail is now open to the public, important repairs are still needed. Should you wish to contribute, please send your check, payable to “NCHS: Old Jail Fund,” to the Northumberland County Historical Society, P. O. Box 221, Heathsville, Virginia 22473.